What's up in your corner of the world? We truly hope you are enjoying the day and wish we could give you some encouragement in person. Our motto has been "keep on keepin' on" which is very close to a lot of other sayings like "one day at a time" or "never be anxious about the next day, for the next day will have its own anxieties." Here in Southern Maryland we are hunkering down for another storm with snow on the way again. We don't expect a whole lot here but farther north is getting slammed again. One of the best ways to get through cold wet weather is to snuggle up in front of the fireplace with a good book. Even better is a book that will transport you off to sunny beaches and blue skies, especially if it's about sea glass. Reading is the next best thing to being there and an interesting book will definitely lift your spirits and make the indoors much more endurable. Probably the sea glass book that is the most essential and best for your library is "Pure Sea Glass: Discovering Nature's Vanishing Gems" by Richard LaMotte. Pure Sea Glass has been around for quite a while but still is one of the best references on sea glass history and collecting. Perhaps you already have LaMotte’s book or are looking for a book about beach crafts. These books are available on Amazon - we get a few cents on sales that come through our site but it does not cost you any extra. Let us know what you think of these choices and leave a comment so others will know what to expect. 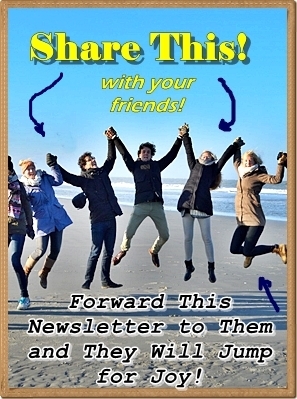 Here's what we have in this newsletter. 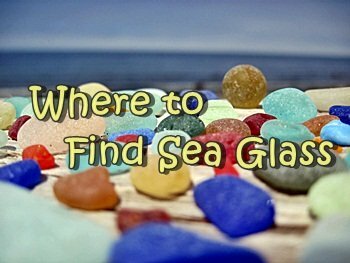 Moving on to your possible sea glass experiences, we continually get reports and identification questions about sea glass etcetera. You can check out these....hopefully to answer a question or submit a comment, photo, or question of your own. Can anyone help me identify this piece of glass? Found in Oxnard Ca at Oxnard Shores Beach. Very thick, approx 1 1/2”long and 1”wide, light grey/clear in color, slight curve to the piece as well. Continue reading "Can anyone help me identify this piece of glass?" How old is this piece? Continue reading "How old is this piece?" 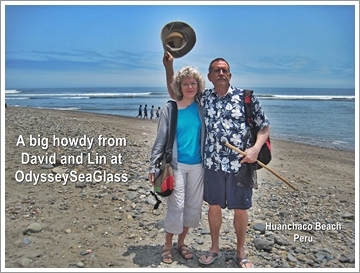 Continue reading "Sea glass found in Japan"
Continue reading "Ben T Davis Beach Tampa Fl." My daughter and I found so much after the recent storm. 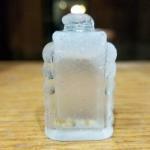 Continue reading "3-4-18 New Bedford, MA, Sea Glass Found"
What is this piece from? This piece as found on Galveston Bay, Texas . The letters CA are imprinted. Continue reading "What is this piece from?" Clear sea glass with wording "OIL"
Continue reading "Clear sea glass with wording "OIL""
Continue reading "Eastern Promenade Beach Portland Maine 3-3- 2018"
Not sure what this is, possibly stained glass? Continue reading "Not sure what this is, possibly stained glass?" Hi I found this lovely gem on the beach.. located Seaside, Ca. at the beginning of February 2018. I think it might be a perfume bottle from the 1920's. Continue reading "Perfume Bottle Seaside Beach Feb 2018"